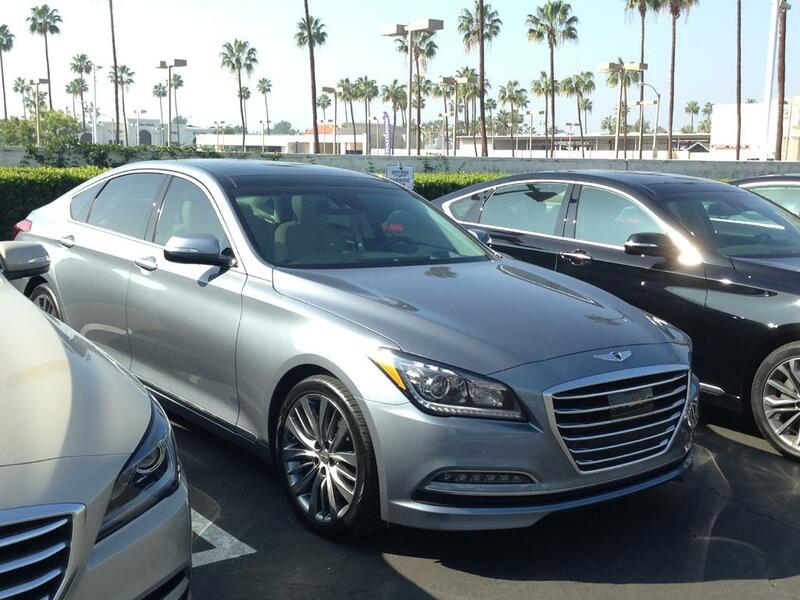 We had a chance to test drive the 2015 Hyundai Genesis sedan. Let’s see what we had to say about it! The Genesis we test drove is the 5.0 V8 RWD trim, with the Ultimate Package worth of $3,250. Total MSRP is $55,855 (including $950 S&H). I mean, if we are going to test drive something, we are going to do it right! 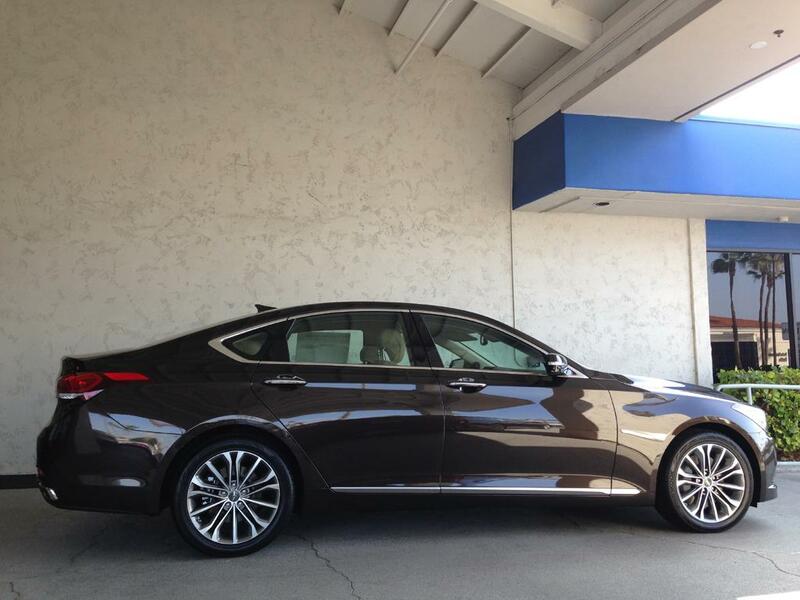 The 2015 Genesis is classified as a mid-size luxury sedan, however we don’t consider it to be mid-size only, because it qualifies as the “full-size” name in almost all aspects. For example, the Genesis sedan has a wheelbase of 118.5in, even longer than the Audi A8 (of 117.8in) and the Lexus LS (of 116.9in). Also the curb weight of the Genesis 5.0 reaches 4,541 lb, just 89 lbs lighter than the 2015 Mercedes-Benz S550 (of 4,630lb). This is the side profile look of the Genesis, which the long wheelbase gives people the impression of a full-size luxury car. The huge grille expresses the unique personality of the new Genesis (photo taken here is the 3.8 RWD trim), from our point of view it is the first time that Hyundai hasn’t “copied” other brand’s design style. 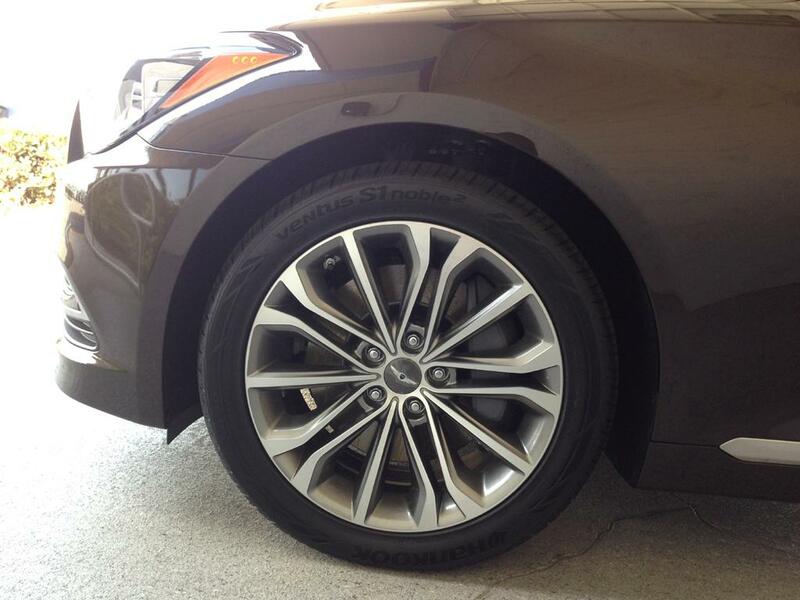 The 2015 Hyundai Genesis has huge brake discs! The 3.8 trim has 345mm (front) and 315mm (rear), while the 5.0 trim has an even larger front brake disc of 361mm. To give you an idea how big it is, the 2015 Mercedes-Benz S500 only has 335mm (front) and 300mm (rear) brake discs. 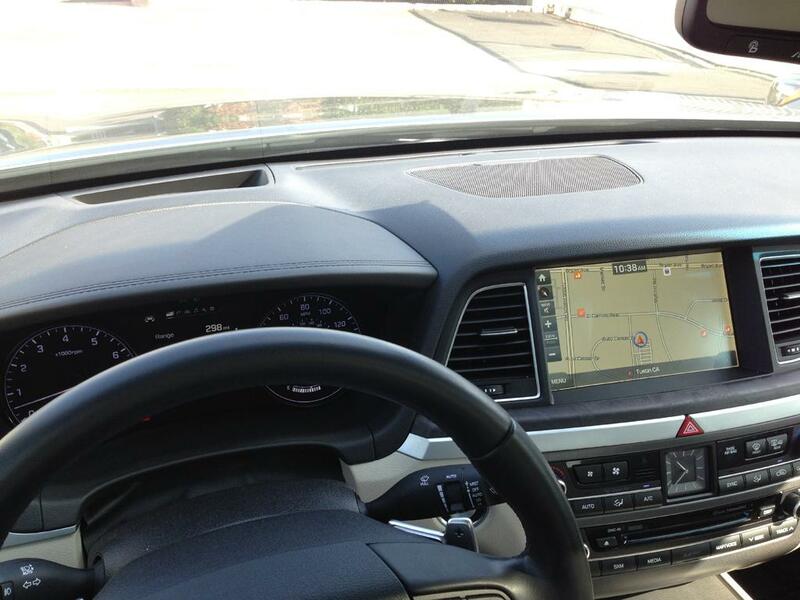 Below photo shown is the 3.8 RWD trim. 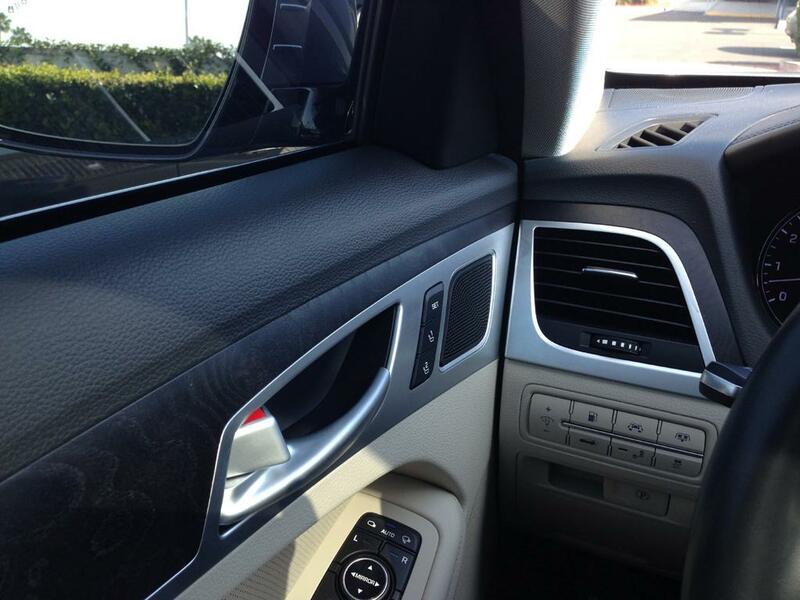 The interior cabin material quality and assembling is “OK” for the car at this price level. The instrument cluster display is not fancy, but it’s clear and crisp enough for its purpose. Only the portion above the instrument cluster is wrapped in leather with stitching, the rest of the dash is made with soft plastic. This is one MAJOR negative factor, because now some trims of the Toyota Camry even come with the full dash wrapped with stitched leather. 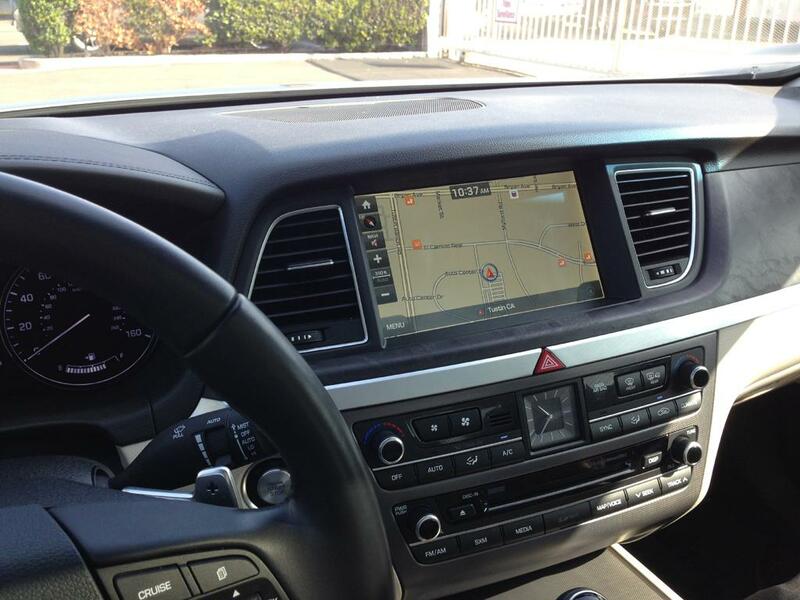 It will be ALOT better if Hyundai adds the leather-wrapped dash in the 2016 model year. Our youwheel.com test car comes with the head-up-display, the display quality is crisp and sharp, but I feel it still lacks enough brightness (under the November California sunshine, the display effect is just OK if I adjust the brightness to MAX). The driver door and part of the dash. A lot of buttons. All upper parts are made with soft plastic; only the lower part of the interior door panel gets the leather treatment. AC and audio controls in the dash. 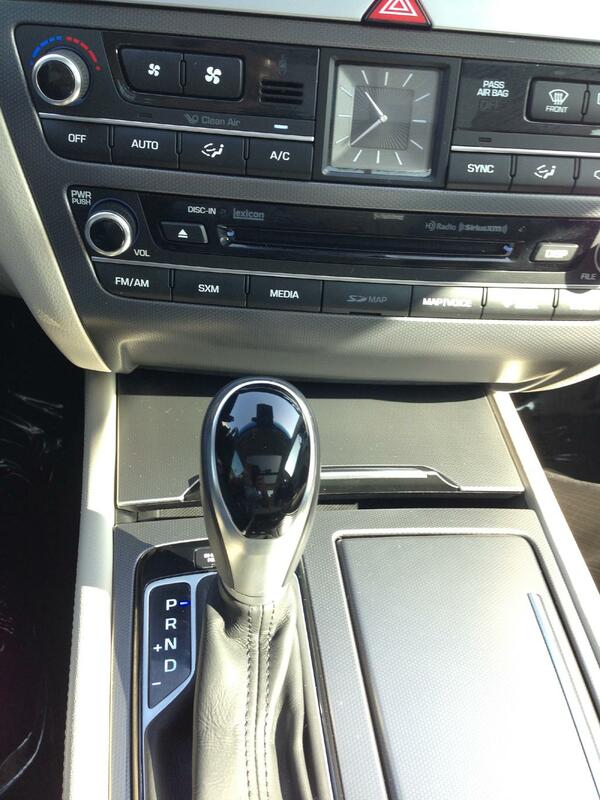 The 2015 Hyundai Genesis also comes with an 8-speed automatic transmission. 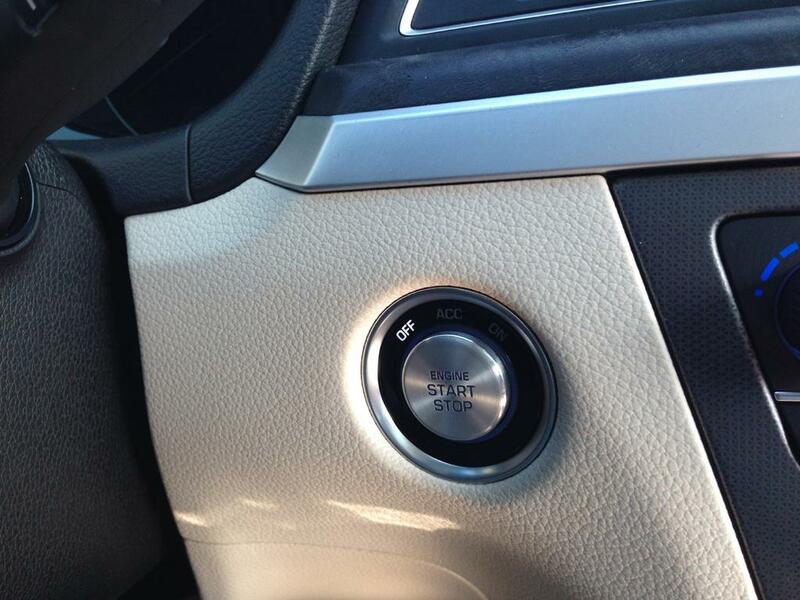 The engine push start/stop button. You can also see the quality of the soft-touch plastic. How Does the 2015 Hyundai Genesis Drive? Now let’s talk about how the Genesis 5.0 drives. The naturally aspirated 5.0L V8 engine can provide 420hp and 383 lb-ft of torque. 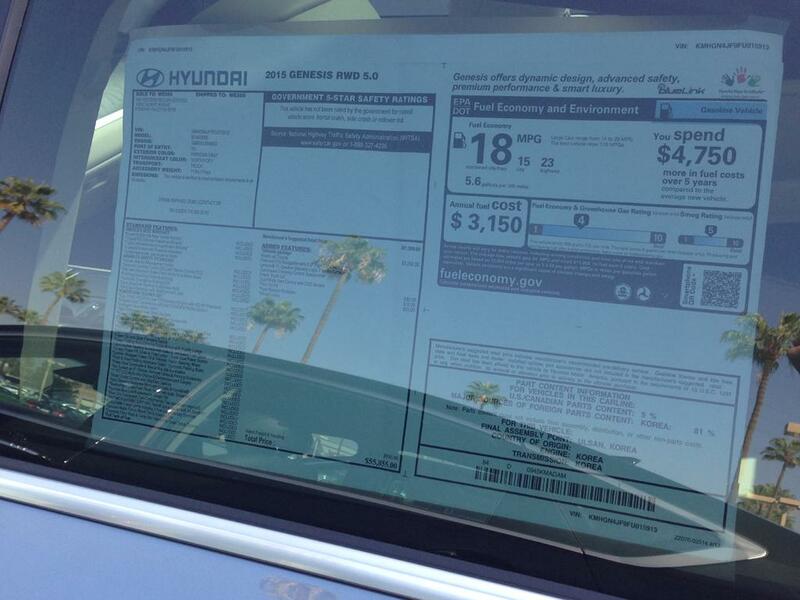 But this is not so much for a SUV-like sedan which curb weight approaches 4,600 lb. Actually, the acceleration feel of the Genesis 5.0 is very similar to a 300hp-level sedan with curb weight around 3,800 lb (for example the Lexus GS350, Mercedes-Benz E350 and BMW 535i). During the test drive, it’s not easy to feel the torque of a 5.0 V8. I am not sure whether it is the engine lacking low-RPM torque, or the Hyundai-developed 8-speed transmission is not too happy to downshift or keeping the lower gear. When you are starting from a stop, the engine usually needs to quickly rev-up to around 4,000 RPM to let you feel the power. 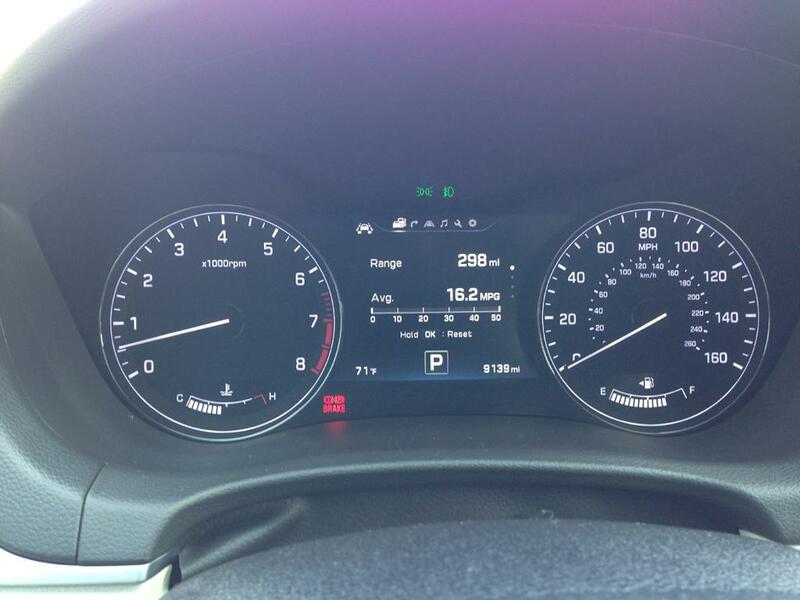 When the engine is rotating at the 2,000 rpm range, it’s only sufficient to let the car stay at the current speed. Every time you need to accelerate not so slowly, 3,000 rpm is required for almost all the time. This sounds strange for a large-displacement V8, but considering the heavy weight of the car, it is understandable. Although the Genesis looks great from the outside and in some portions of the cabin, there some refinement related issue that dings its “luxury” claim. For example during driving you will feel some high-frequency vibration transmitted to the steering wheel, which should not be generated by imperfections on the road surface. The vibration does not happen all the time, so it shouldn’t be some kind of wheel balancing issue. So we aren’t sure where these vibration are coming from. This destroys the refinement feel to the driver! The 2015 Hyundai Genesis car body has strong torsional rigidity, according to Hyundai, it has the rigidity as high as 39,400 nm/deg, this was definitely felt during our test drive. However, when the car hit some uneven cement joints on the road, you can still hear a loud cracking sound emitted around the area where the A-pillar meets the dash. For a sedan which claims high torsional rigidity, and asking for a such price tag, we expected it to be cracking/rattling-free inside the cabin. 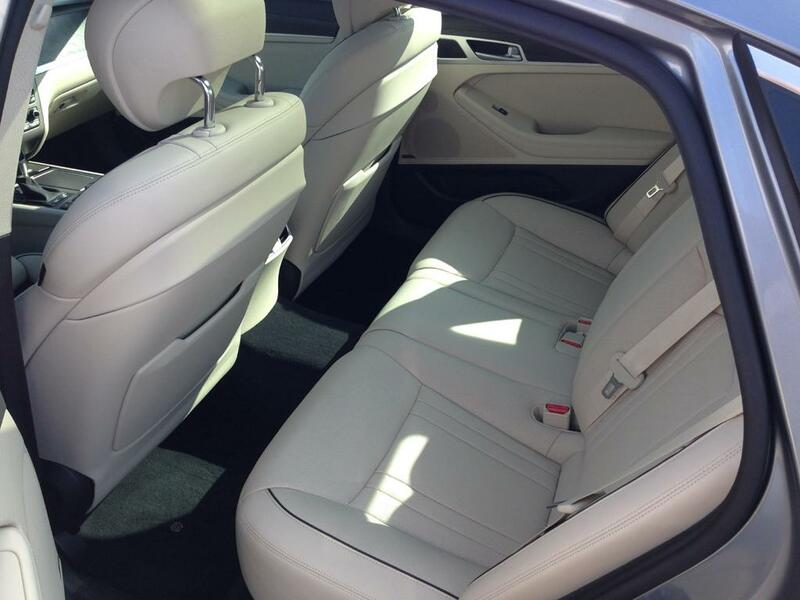 Talking about the cabin, the Genesis offers ample rear seat legroom. Don’t be confused by the below photo: the leg room looks cramped because after parking the car, the driver seat will automatically slide all the way backward to make it easy for the driver to exit/enter. You can disable that function if you want and if you adjust the seat position to be comfortable, you will find the rear seat has LOTS of legroom. 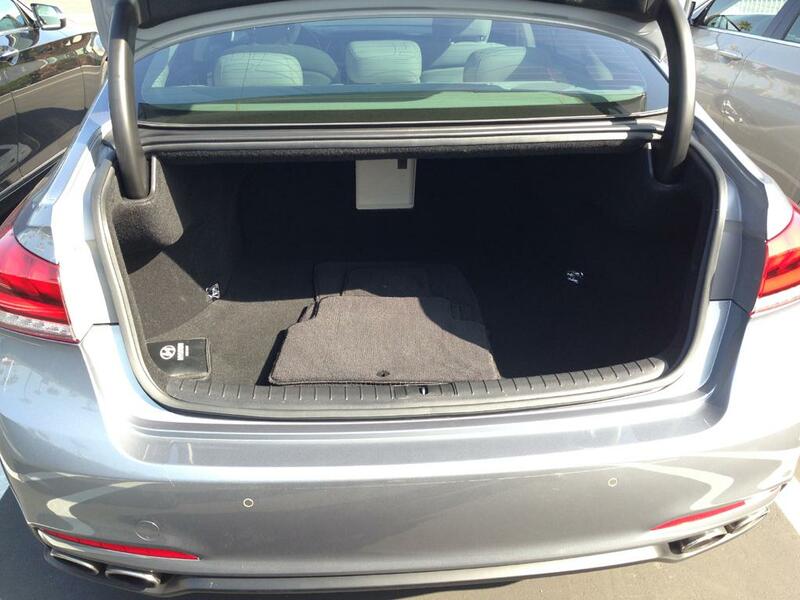 The trunk has reasonable capacity – it is not TOO large, but enough for most people’s daily needs. Of course we all understand, the Genesis is not made for hauling large objects so you might want to ask your friend with the truck to help you pick up that BBQ at Home Depot you had your eyes on. 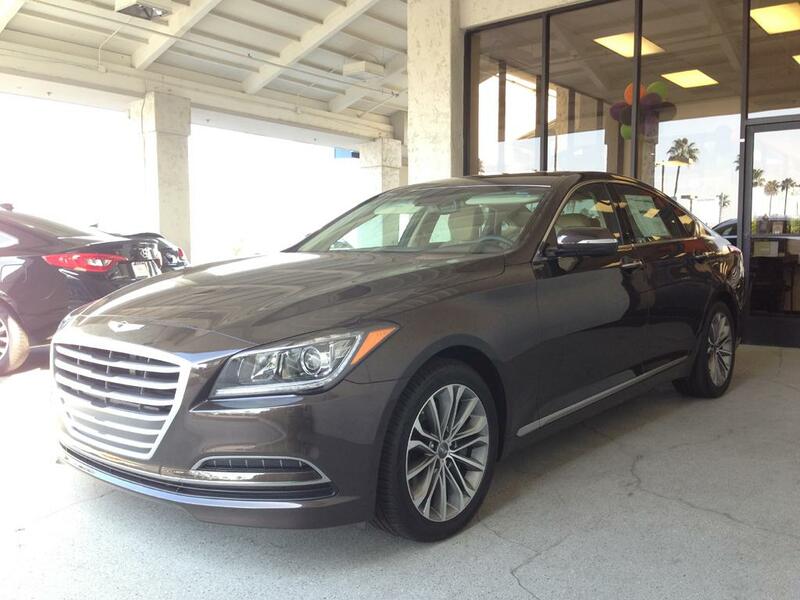 We will conduct a more in-depth test drive analysis for the 2015 Hyundai Genesis in the near future. Questions or comments? Feel free to contribute below in the comments section. I always liked how the Genesis looked and think Hyundai does a great job building cars. Thanks for the article, now i’ll have to test drive it to see if i can hear that sound you were talking about while driving. As a consumer i can appreciate that.